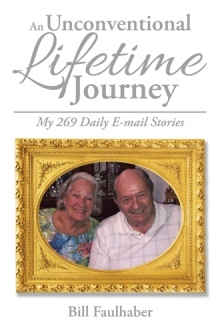 An Unconventional Lifetime Journey: My 269 Daily E-mail Stories collates and presents hundreds of short stories that provide humorous, touching, memorable, and insightful glimpses into the life of William Faulhaber. Retired after a long career in the sporting goods business, he began to e-mail reminiscences to a list of his friends. Hearing encouragement to keep writing, he wrote about a surprisingly wide array of topics: America’s bicentennial, golf-club shafts, plow horses, vacuum cleaner sales, pontoon boats, bingo, and miracles. To truly appreciate the reach of these stories, one must dive into the collection and explore its vast wealth. Many histories take as their topics the great and cataclysmic events: wars, the rise and fall of nations, discoveries that change the direction of human evolution. If you enjoy history, you may find room on your shelf for a book that takes the time to look at the little comings and goings that make up the life of one person among many who live in the world shaped by those big events. If that is the case, then An Unconventional Lifetime Journey: My 269 Daily E-mail Stories promises to give you that fine-grain detail that brings one man’s story to life. William Faulhaber had a long successful career in sales and management of sporting goods, focusing mostly on the golf market. Now retired from Spalding Equipment, he and his wife, Delores, are enjoying their seventh decade of marriage and are in the midst of their fifth decade living in North Palm Beach, Florida. Now retired, author Dr. Steven Bentley was a successful emergency physician. But his path in life wasn’t always an easy one. In Poor No More-An American Dream, he shares his story of how he survived a rare birth defect, abject poverty, an alcoholic mother, a KKK father, an abusive children’s home, and a cruel step-mother. This memoir tells how Bentley emerged from a difficult childhood and adolescence to practice ER medicine during a time of enormous change in the field and how he developed a lifelong love affair with his chosen profession. He discusses how he found it gratifying to apply his medical knowledge and to impact someone’s life for the better. 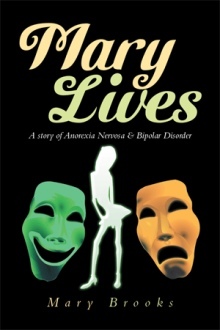 He relays a host of stories from both his personal and professional life, detailing the trials and tribulations and the challenges and rewards. 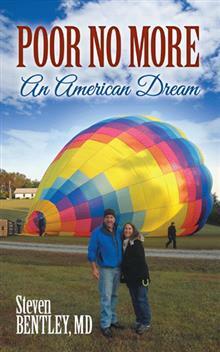 Poor No More-An American Dream describes Bentley’s journey to escape his roots and become a successful doctor in America. It tells about one man who lived in and through some interesting times.